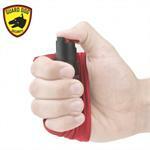 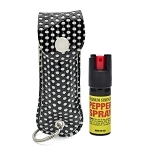 Lipstick pepper spray is another self defense weapon to add to women's arsenal. 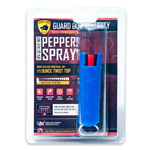 Designed for women, this powerful pepper formula is contained inside a common looking lipstick that is a powerful self protection pepper delivery system. 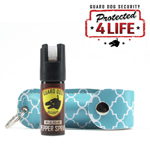 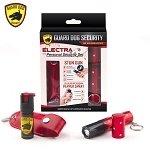 The Lipstick Pepper Spray is a convenient and subtle way to carry the protection you need into any environment where you might find yourself. 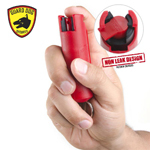 Contains 6-10 one second bursts and sprays up to 6-8 feet. 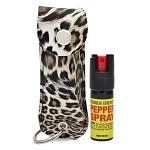 If you're worried about self protection, lipstick pepper spray is a perfect solution. 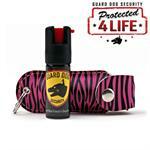 Measures 3 1/2" Height., weighs 2 oz. 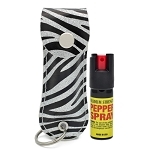 Convenient for women to carry anywhere!